All of the toolmaking trades: injection mold making, tool and die making, and precision machining, all make extensive use of precision grinding. These precision machine tools make the intricate and highly detailed work possible. There are not many machine tools that are capable of holding tolerances such as .0001 in/.0025mm, but a good grinder does this on a daily basis. With the proper grinding accessories and technique, just about any shape or contour can be made in a precision machine shop. A great deal of the work done in the grinding department has been taken over by the Wire EDM machine, yet there is still a constant demand for the high precision done on the grinders. A company that offers precision grinding services and can deliver on-time, quality results will nearly always be busy. Grinding steel is such a basic part of toolmaking, that it is often taken for granted. One of the mainstays of tool room work is the jig-grinder. This highly accurate machine is so important that the Moore Company, which manufactures high-end machines, is depended upon for Federal standards of accuracy. There is a school of thought that considers precision grinding out-of-date. This is wrong thinking, and usually this position is held by people who do not actually do the hands-on work of toolmaking. In actual practice, the jig grinder is very valuable and has many applications beyond mere hole-making. Any type of precision grinding requires the use of a dust collection system. The grit and debris from grinding will very quickly damage your expensive machine and interfere with any precision machining operation. Many precision grinding machine shops use CNC grinding machines for surface grinding, ID and OD grinding. 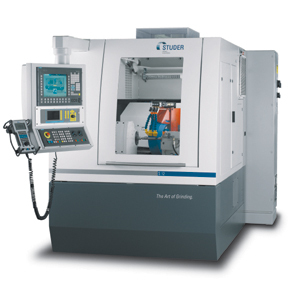 There are many other types of CNC’s, but they are primarily designed for production use. The small job shops generally do not have the demand or budget for a large CNC grinder, but you can be sure the companies they outsource work to use them. 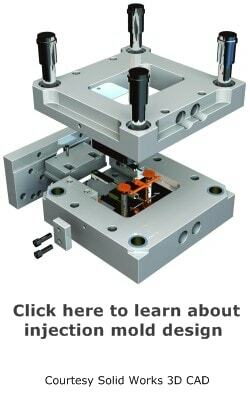 Mold bases are a great example of tooling that is ground on a CNC. Another excellent application is for core pins, punches, and other round components. These can be done very quickly and accurately on a CNC grinder. In the case of one-off tools, is just cannot be justified, but for a supplier offering precision grinding services, it is the only way to go. The use of a carbide grinder to sharpen cutting tools is required for any tool shop. Many shops only use basic cutter grinders, such as a Deckel cutter grinder, or a bench top grinder, but even these are indispensable. The worn out cutter, or damaged cutters are sent out for resharpening. These cutters are still quite usable, but just need to be sharpened. The contract shop might be a tiny, one-man operation, or it could be a full-service supplier of various tool-and-cutter grinding services. Very often, the larger shop will have a CNC cutter grinder that uses a variety of diamond grinding wheels, CBN wheels, as well as the common aluminum oxide or silicon carbide wheels. The surface grinding wheel of choice for most applications is the aluminum oxide or silicon carbide wheel. 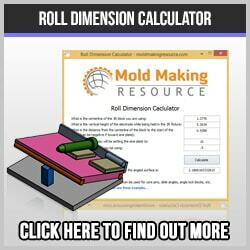 These are especially common in mold making and tool and die shops. The are used for grinding steel, copper, aluminum and even plastic. Some common suppliers include Norton, Bay State, and Camel.